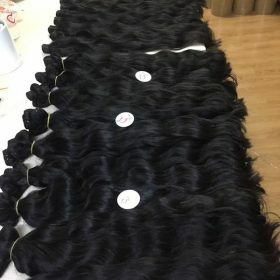 How to choose and take care of Vietnamese hair color? When you feel boring with your natural color hair, why don’t you try to change yourself with Vietnamese hair color? You can dye your hair with many beautiful colors with hair dye products or use color hair extensions. How to make a beautiful hair color, and choose the suitable color for you? 1 How to choose Vietnamese hair color properly. 2 When we choose a wrong Vietnamese hair color, what should we do? 3 How to take care your Vietnamese hair color if you have a dyed hair. 4 How many Vietnamese hair colors in table color? How to choose Vietnamese hair color properly. 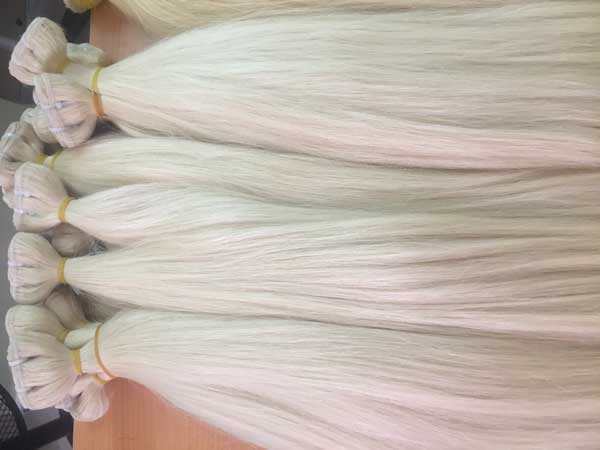 There are many colors for your choice, but how to choose the suitable color of Vietnamese hair color is very important. Firstly, let’s classify of the color hair. There are two tones color: cool tone and warm tone. Example #8 color will be 2 tones: #8 cool tone and #8 warm tone. Even though they are #8 color, but the difference between cool tone and warm tone makes a huge different appearance of yours. The difference is cooler shades and warmer shades when you look at dyed hair. Therefore, who should choose cool tone color and who should choose another tone- warm tone color? Actually, the person who wants to warn up their complexion, increase the brightness of your hair if you are feeling that your face is too pale. So warn tone color in Vietnamese hair color is for you. On the opposite, if you have a skin with a lot of redness, you should choose cool tone color to neutralize your skin and your color hair. 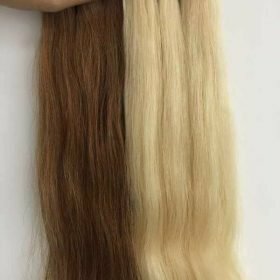 When we choose a wrong Vietnamese hair color, what should we do? Some Accidents when you dye hair is not avoiding. Because hair of each other is the difference, they will make different color with someone, maybe darker, maybe lighter. We have some tips from professional experts for choosing the right color. Example, if your hair is too dark compared which you desire. Will you re-dye them a lighter color? Do not hurry up, because it usually takes 5-6 weeks to be from the dark color to be lighter. You also should do something to push color up to lighter quickly, example try applying some haircare on your hair such as olive oil or conditioner regularly. 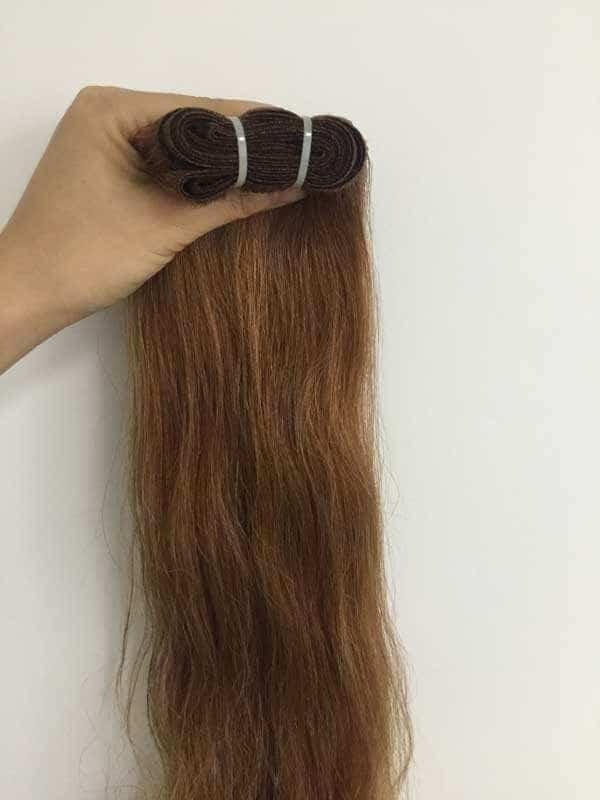 The fast way to have a beautiful hair you desire, choose hair extension with dyed hair which is Vietnamese hair color. When you can see and never have a wrong choice. Use Vietnamese hair color of hair extensions can help you have a stronger and thicker and healthier hair immediately. How to take care your Vietnamese hair color if you have a dyed hair. If you change your color hair too frequently, your hair will not have time to recover itself and it will be dried so much. You should have some haircare habits every day to take care your hair. If you have hair extensions, especially Vietnamese hair color, you should have done something following tips below. Firstly, you should wait at least 2-3 days for your color hair to have time to color hair perfectly, at that time, you can use shampoo normally. Then, you should use some drugstore products to recover and keep your hair pretty. To drugstore products, cannot without shampoo and conditioner, which is very popular with anyone, is basic products. They will help your hair clean and soft. That is the key for a healthy hair. Moreover, using cocktail haircare from natural materials provide nutrition for your hair. Cocktail haircare which is supplied on another post of mine. 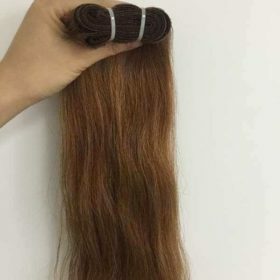 How many Vietnamese hair colors in table color? 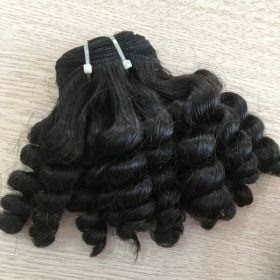 Vietnamese hair color of hair extensions is the permanent color. 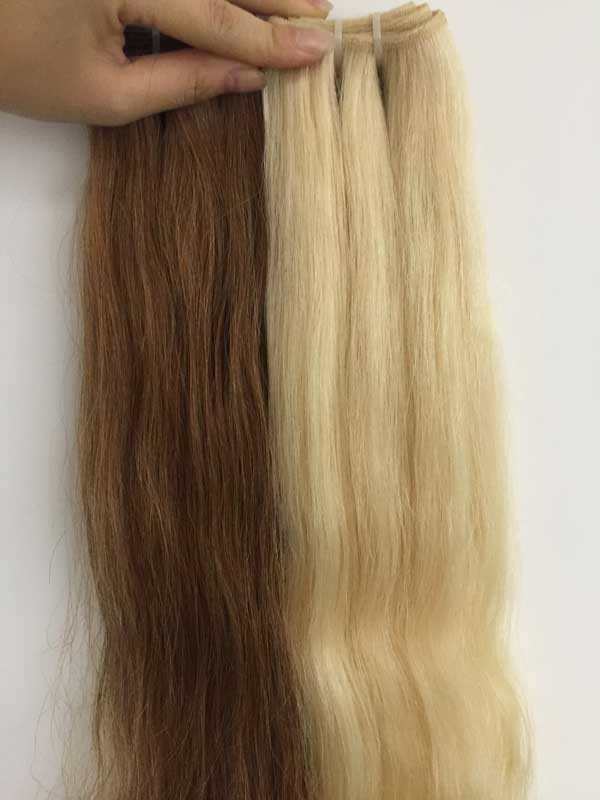 We blonde hair in advance, then dye them with each color in color table. With the color table, they will put from darkest to lightest including black, brown, gray, red and blue color. Each color brings the different appearance. Let’s choose the suitable color with your complexion, especially your skin. 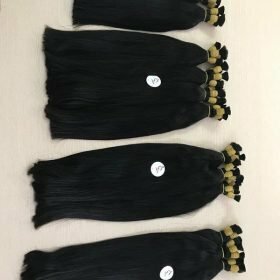 Vietnamese hair color includes many colors for your choices, you can choose one color or mix color from 2-3 color – ombre hair. Many famous people tried them, with many different styles, but they also have one common point is they have the deep love with the blond color. Black is very popular color in the world, especially yellow skin and dark skin, but white skin still is suitable for this hair. 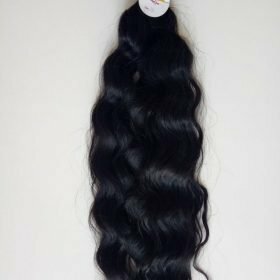 Deep black hair makes anyone who owns it become **** and this color is also the strongest and smoothest color in table color, it has very little split ends. 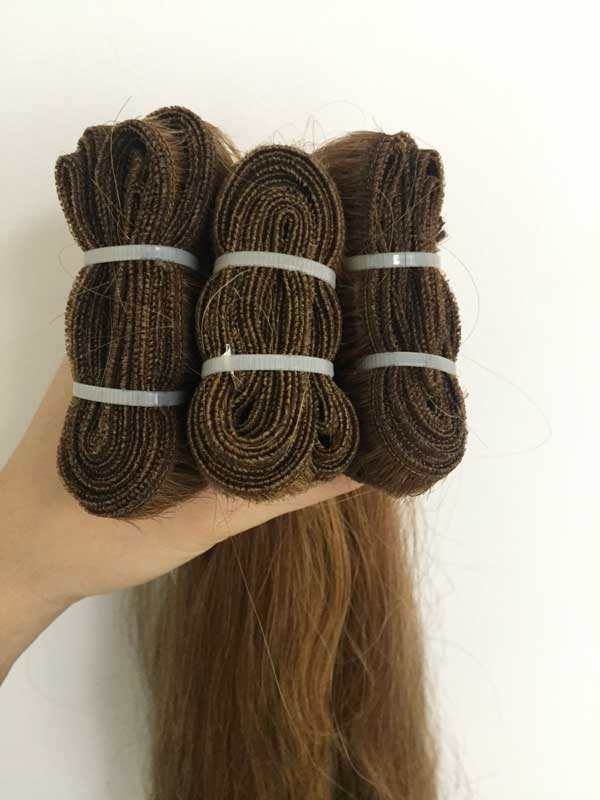 Brown color have many different colors, each brown has a different tone, maybe darker or maybe lighter, the brown is from #2 to #18 color, in there, #2 to #8 is dark brown, from #10 to #18 is a lighter color. 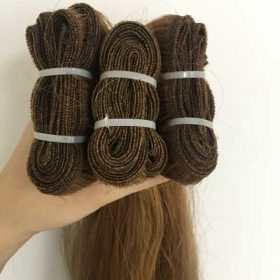 Brown is a popular color and very easy to apply on your hair, it is suitable for most people with almost the different color. Remaining color has to call red, blue, green or gray. They are very style and different, they will make you become the highlight in the crowd people. You are a badness and wild person, you do not want to live in style of others. Why do not you try it today? If you are hesitating to change with strangle color, you also can try with temporary color products, it keeps your color hair six-seven days. Finally, let’s do anything by your hobby. Our advice will help you choose the suitable Vietnamese color hair for you. If your complexion matches with brown color, but you want to revolt yourself in green, let yourself try it and enjoy it. I am Lily from Ivirgohair Investment and Commercial Joint Stock Company. If you have any question or requests, contact me for helpful advice.